During last week’s Annual Conference meeting, the members of the 2012 Central Texas Annual Conference overwhelmingly approved the plan to relocate the Central Texas Conference Service Center (CTCSC) onto the campus of Texas Wesleyan University in east Fort Worth. Before the vote was called, the members heard a report and the official recommendation from the board of trustees that the CTCSC be moved to the TWU Campus. This was followed by a presentation from Fred Slabach, president, Texas Wesleyan University, on how the university plans to incorporate the Service Center and its staff into the campus, life and mission of the university, as well as detailed information as to how this move fits into the larger East Rosedale Improvement Project. The assembly then began to discuss and debate the proposal. Some of the discussion regarding the proposal centered on the decision to keep the CTCSC in Fort Worth instead of moving it to a more geographically central location like Waco. In answering that question, the members were reminded that while Waco may be closer to the center of the conference – actually Meridian, Texas is more the geographic center – 128 (41.43 percent) of the churches in the conference and just shy of 105,000 (63,21 percent) of the conference’s membership are within one hour of Texas Wesleyan. Other topics of discussion were safety – according to President Slabach TWU has the lowest percentage of crimes reported by any major university in the area – and the $1 million price tag for the 10-year lease, which is approximately half the cost of the next best course of action among the myriad other options considered. Following approximately an hour of discussion and debate on the subject, the vote was called and the plan was approved with very few (less than 20 according to a non-official count from backstage) voting against the plan. After ruling that the recommendation had been approved, Bishop Mike Lowry thanked the board, the Central Texas Conference Service Center Relocation Task Force and myriad others who have worked on this effort since the idea was put forth in 2007, lauding them for their diligence, creativity and cooperation throughout the process in meeting and often exceeding the requirements of the move as set for by the Annual Conference. With the approval of the Annual Conference, the wheels of change were set in motion – not an unusual occurrence for the Central Texas Conference since its formal adoption of the Exodus Project in 2011 – and there is much work that is now just beginning. Texas Wesleyan had not formally engaged an architect and design firm to begin drawing up plans for the new building until learning of the results of the vote. Now that the conference has given the green light to proceed, TWU will liaise with members of the CTCSC team and begin the process of designing a facility that meets the conference’s current and future space, technology and functionality needs. The target date for new building to be complete and the CTCSC to move is mid-2014. The process of selling the current CTCSC building and property will begin immediately. There are several contingency plans in place should the existing space sell and the staff need to vacate before the new building is complete. 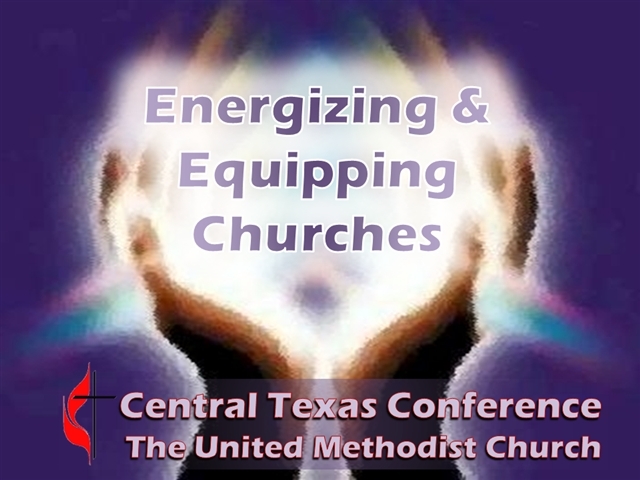 The opportunity to partner with an outstanding United Methodist university like Texas Wesleyan is exciting on many different levels as we continue to look for new and more ways to energize and equip the churches of the Central Texas Conference. Please stay tuned to ctcumc.org for updates on the progress of the building as well as the partnership between the Central Texas Conference and Texas Wesleyan University.